Edited by Czarlson at 17:45, 10 Feb 2019. I asked about new spells but unfortunately I added this graphic which was always closer for me to spell than to creature. By the way it could be used as spell � maybe, somehow... what do you think about that ? On the other hand I heard that in HotA files exists some graphics for spells which are not used at now in the game. Is it true? It has a shadow... and spells don't. Edited by avatar at 18:50, 10 Feb 2019.
i always wondered about that screen. Placement of the shooters is also completely non-sensical. Edited by Czarlson at 19:17, 10 Feb 2019. Also, we would like to state that the widely spread lamentations about the new town having too many humanoid units are unfounded. 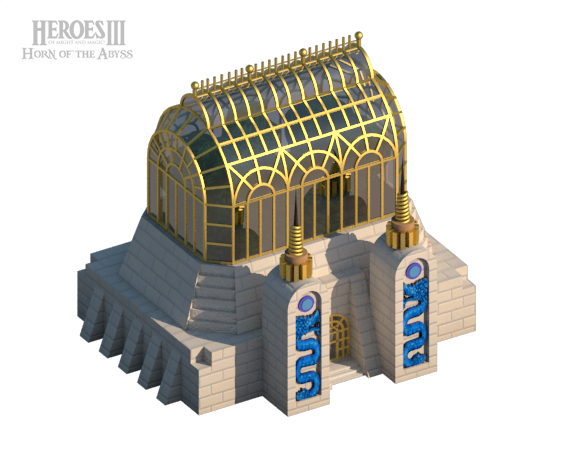 All such units have been shown already; the remainder of the lineup will be made up of beasts and mechanical constructs. Because of mechanical constructs are almost not exist in H3 I'm really calm about their rarity. Each of that mechanical unit will be welcomed by me. So, I decided to discuss a bit about beast for this faction. What kind of beasts will be rare and on the other way match to this town. I've seen a bit about community ideas, and especially one propose is for me quite interesting (Worm). I did search about worms in M&M and I found picture called �The evolution of the Worm in the M&M�. 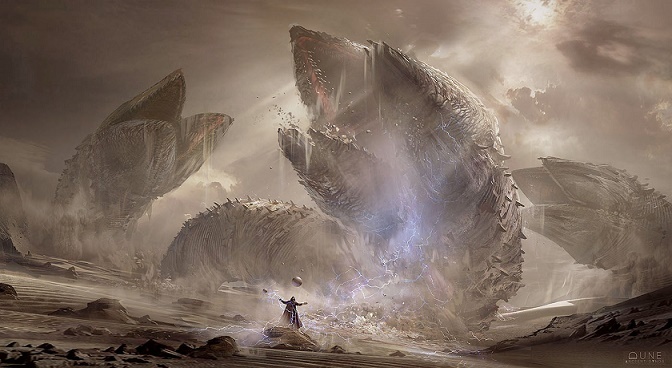 It inspired me to search deeper and I found: Sand, Desert Sand, Giant, Magma, Abyssal and even Dragon Worm. 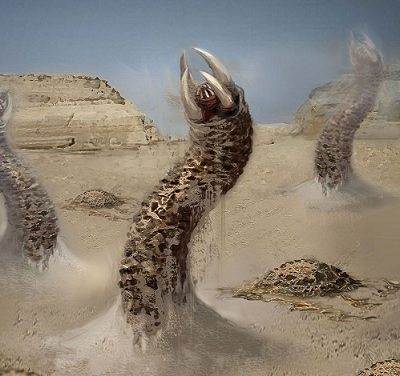 In my opinion especially Sand Worm and Desert Sand Worm could be a good idea. Mechanics of the movement would be a bit similar to the Oceanids. It wouldn't be a teleporting but rather move underground. 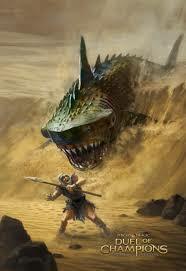 Another propose is Sand Shark which could posses this same kind of mechanics of movement. Sharkmen are something i've been wanting to see for awhile now. Like the one in "the flash" tv show. Edited by Czarlson at 13:58, 11 Feb 2019. @fred79 Yeah, Sharkmen are great but in my opinion they're closer to Cove than to the wasteland faction � this is why I added Sand Shark. @blob2 You need to realize that was announced building called �Serpentarium�. So you must accept fact that some kind of serpents will be in Factory. Now, we're only debating what kind of serpent it will be. This is probably flying unit, dragon or beast which was called by community Dragon or Wind Serpent or Coatle. But from my point of view this faction would be more consistent without flying units. 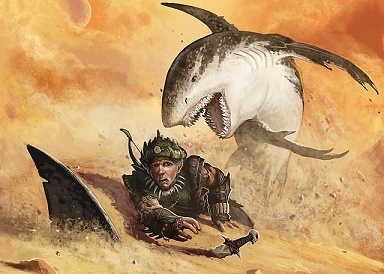 Like I said earlier this Worm or Sand Shark could posses mechanics of the movement a bit similar to the Oceanids (it wouldn't be a teleporting but rather move underground). The sharkmen i'm thinking of don't use/need any weapon besides their teeth; not even their hands/claws(because a shark biting fits everything about them like a glove). They'll also be neutral sea creatures; because they would be as indiscriminate in their attack, as real sharks. Imo, the sea doesn't have enough neutral creatures to threaten ships when sailing. 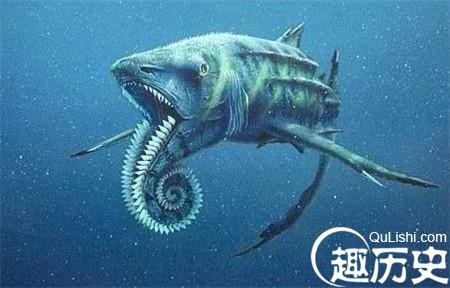 Cove and Abyss are a great way to change that; but the ocean misses something, with no shark-like creature in a fantasy game. Sharkmen are definitely a missing puzzle piece that'll fit in homm like it's always belonged there. If nobody else adds it; i'll be making and adding one myself. It just seems right to have them for Heroes. Edited by 53lm at 17:43, 11 Feb 2019. @blob2 You need to realize that was announced building called �Serpentarium�. So you must accept fact that some kind of serpents will be in Factory. I was referring to a potential addition of any more Wurms other then that. Ofc this is all pure speculation at this point. At first I thought that this monster has very small hands. Then I realized that it's just the tip of his tail. can you add an option to buy creatures from a single castle if you have a lot of the same ???? That sounds like an ultimate easy modo. Edited by Czarlson at 11:09, 15 Feb 2019. That's how one of the Factory's dwelling looks like. We know that it's called Serpentarium. On the columns we can spot 2 blue snakes. Does the creature that we can recruit there look like them or similar to them? 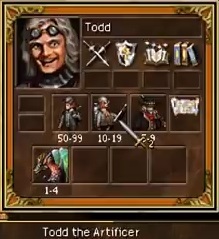 Is it the same creature that we could spot in first revealed trailer in Todd's army? The only problem is that creature there has wings. Does it mean that only upgrated version will gain the ability to fly? Or maybe are they 2 separate units - snake and some sort of dragon? 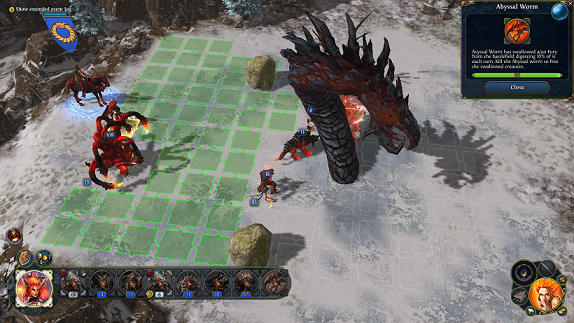 Also is it reference to creature from old Might and magic game? I've found this deliberation about �Serpentarium� by @shev441. Yeah, definitely for now we have two different images of �serpents�. First one revealed in trailer has wings. 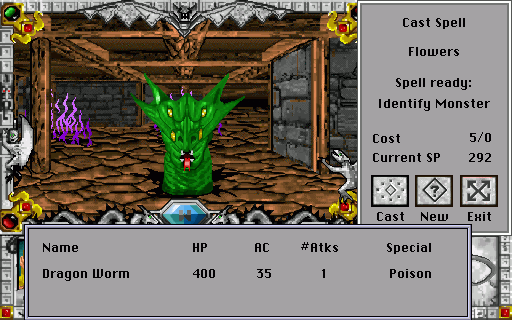 Second, which is represented on the columns of Serpentarium looks for me rather like Dragon Worm not like suggested @shev441 Snake. Reason why I'm thinking that is the head of this unit. It looks like head of dragon. So body of snake would be little bit to small for this unit. Additionally in M&M world exist unit called Dragon Worm. 2. 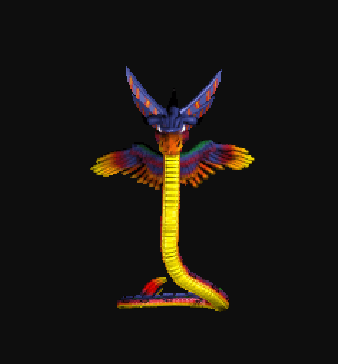 HotA Crew not decided yet what kind of version unit it will be (more like Dragon Worm or more like Flying Serpent/Snake). Edited by Czarlson at 10:32, 16 Feb 2019. 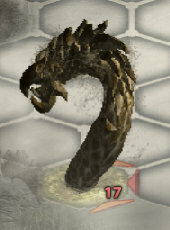 I've found hybrid dragon and snake in M&M which is called �Kirin� - this �Dragon Snake� is reference to Chinese culture. But this creature posses legs instead of wings.